The fast selling Heckel SUXXEED is a new metal free product ideal for an array of environments including manufacturing, service and logistics sectors, fit out as well as workers operating in warmer or humid environments. The attractive range consists of a boot and two shoes; all extremely lightweight and featuring a water resistant hydrosuede leather upper and highly slip resistant double density PU sole; a trademark feature of Heckel’s innovative rubber processing sole technology. 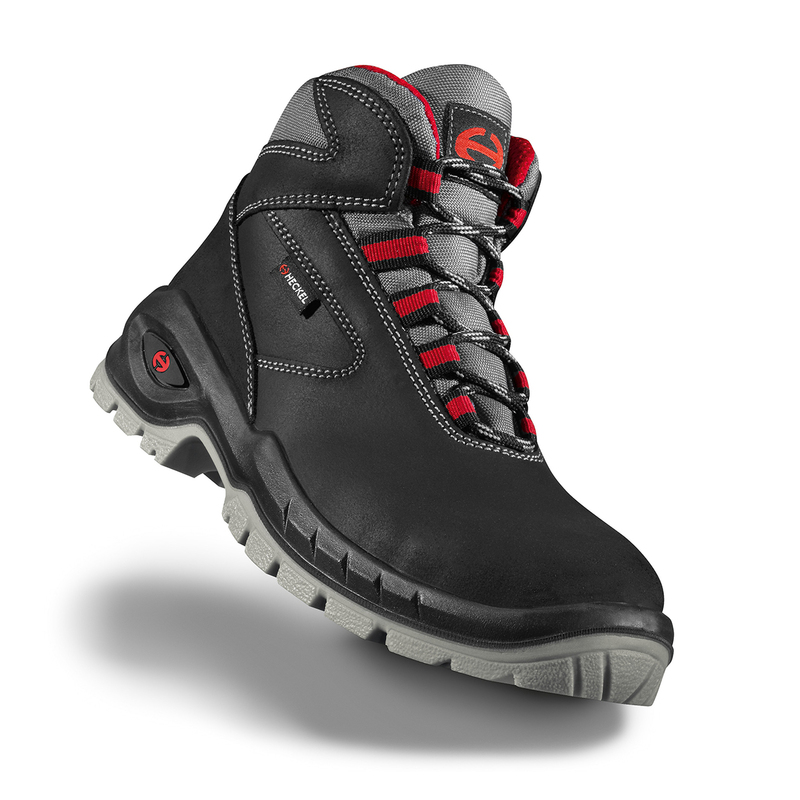 One boot and shoe feature a metal free penetration resistant midsole. Well suited to those working outdoors, with the deep, self-cleaning tread, reinforced sides and stable ankle support system, this range is ideal for use in demanding environments. uvex employee, Louise Newland decided to put the Heckel SUXXEED to the ultimate performance test and see how well the SRC boot would withstand the tough terrain of Snowdonia, over the course of a six hour team walking expedition. The Climate Airmesh lining effectively keeps the foot dry, due to the high absorption and quick-drying capabilities, providing excellent ventilation and allowing the foot to breathe. The Heckel SUXXEED with its soft padded removable insole, offers a cost effective solution for wearers that require exceptional grip, resistance to extreme temperatures, aggressive chemicals and shock protection. All of these features come as standard due to the innovative material properties and cutting edge technology in which Heckel have specialised since 1970. The quality of Heckel products have been built to withstand extreme conditions, so whether it’s climbing mountains or working in high risk environments wearers can rely on extreme durability and complete protection without sacrificing comfort. For more information visit: www.uvex-safety.co.uk or contact uvex customer services on +44 (0)1252 731200.